Leading Detroit’s new rap renaissance with a bottomless arsenal of punchlines and flows, BandGang always comes prepared for a fight. Nearly cackling with glee at the prospect of acquiring a new firearm, the members of BandGang radiate a maniacal energy in “G.A.N.G.,” their latest video. Posting up in a crowded pool hall with guest artist ShredGang Boogz, BandGang bounce to the menacing instrumental, dancing and threatening with their weapons as BandGang Lonnie Bands strums his AK like a guitar. 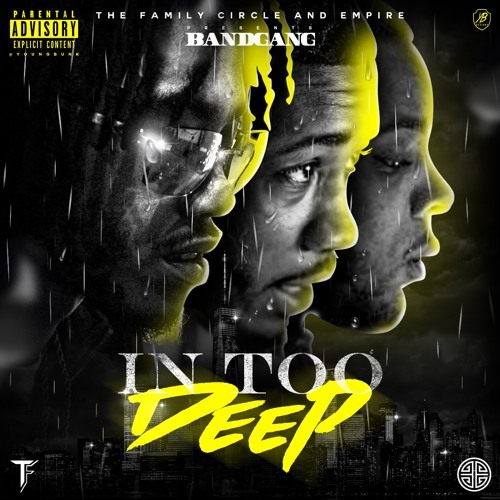 Premiered by Hypebeast, “G.A.N.G.” is the latest release from In Too Deep, BandGang’s new album. Emerging in the mid-2010s, BandGang (comprised of members Lonnie Bands, Maseo, Javar, Paid Will, AJ, and Biggs) pioneered the distinct style powering the burgeoning Detroit rap scene, marked by flows that fall slightly ahead of the uptempo beat, menacing piano arpeggios, and hard-hitting, reality-based lyrics. The culmination of years of grinding and millions of YouTube views, BandGang showcases the full extent of their talents on In Too Deep, their first studio album. Spanning a ridiculous 30 tracks, but never growing boring, In Too Deep is a treatise on street maximalism and the charismatic power behind the new Detroit sound. Distributed by EMPIRE and premiered by The FADER, In Too Deep is home to several recently released singles, including the BandGang Lonnie Bands star turn “Narcotics 2,” the ferocious, HYPEBEAST-premiered “Ain’t No Problem,” and the bombastically poignant “My N*ggaz.” Featuring appearances from SOB x RBE, Mozzy, Philthy Rich, Drego, and more, In Too Deep is available to stream on all platforms. BandGang Is a group of six rappers, BandGang Lonnie Bands, BandGang Masoe, BandGang Biggs, BandGang PaidWill, BandGang AJ, and BandGang Javar, based out of Detroit, MI. Each rapper has their own style, delivery, but they all bring a collective of mass appeal. BandGang broke onto the scene in late 2013 with their street hit “BandGang or No Gang”. Since then, BandGang has released several street hits such as, “Out My Business,” “On a Safe,” “Flip work,” and “Outro.” BandGang earned the nickname “YouTube Kings” for their success, having several videos with over a million views. Bandgang is on their way to making underground history in Detroit’s hip-hop culture.